Discussion in 'Educational Institutes, Colleges, Universities' started by Admin, Jun 20, 2013. (a) A Master’s degree in Library Science/Information Science/Documentation with at least 55% marks (or an equivalent grade in a point scale wherever grading system is followed) and consistently good academic record as set out in UGC Regulations, 2010. (b) At least 13 (thirteen) years of experience as a Deputy Librarian in a University Library or 18 (eighteen) years of experience as a College Librarian. (c) Evidence of innovative library services and organization of published work. Experience Requirements: A M Phil/Ph D degree in Library Science/Information Science/Documentation/Archives and Manuscripts Keeping. 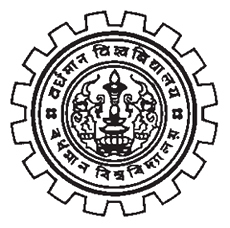 How To Apply: Applications should be sent to Burdwan University office. Send your fully filled applications to The Registrar The University of Burdwan Rajbati, Burdwan 713104.